Karas Pen Company: Weekend Giveaway Entries. Only a few entries over the weekend. I was hoping my inbox would be FULL but apparently not. Hope you guys share this giveaway and get some other people to enter, though it does cut down your chances of winning, it provides me with some much needed entertainment as I look through all of your awesome photos and read your responses. Without further ado, here are the weekends entries. To break the monotony of just reposting this with entry photos. 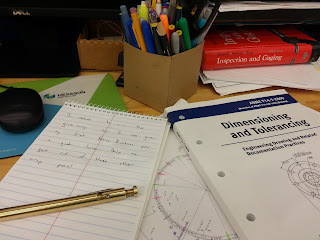 I am going to put up some cool (cool to me) historic information on the Skyline pen and maybe some other random notes and what not. To start things off, I decided to pick the items myself. This giveaway features a Karas Kustoms/Dudek Modern Goods Cube in burnt orange with white delrin inserts and a restored vintage Eversharp Skyline in Dubonnet red. To win this pen, you need to do a couple of things. They aren’t very difficult and you should be able to accomplish them with a quick note and a photo. First write a short 1-3 sentence explanation of why you deserve this giveaway. 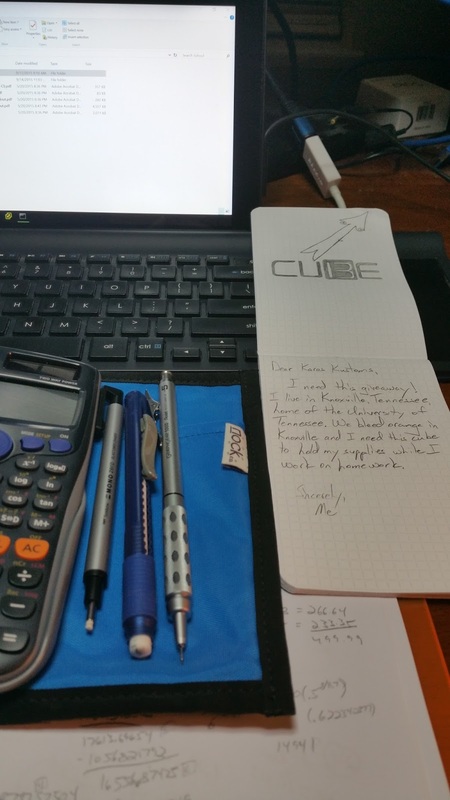 Second take the note and lay it next to an area in your home, office, car, bathroom that this cube will occupy. 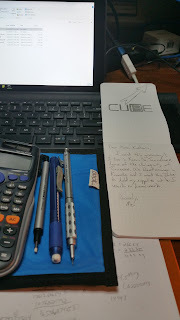 Email the photo to karaspenco@gmail.com with the subject "Cube/Skyline Giveaway". All entries will be assigned a number and the random number generator at www.random.org will be utilized to pick a winner. The winner will be chosen on October 12, 2015 and announced on the blog and via the Karas Pen Co Instagram account @karaspenco . The winner will have 48 hours to contact karaspenco@gmail.com with shipping information. Good luck! Giveaway Entries - KEEP 'EM COMING!